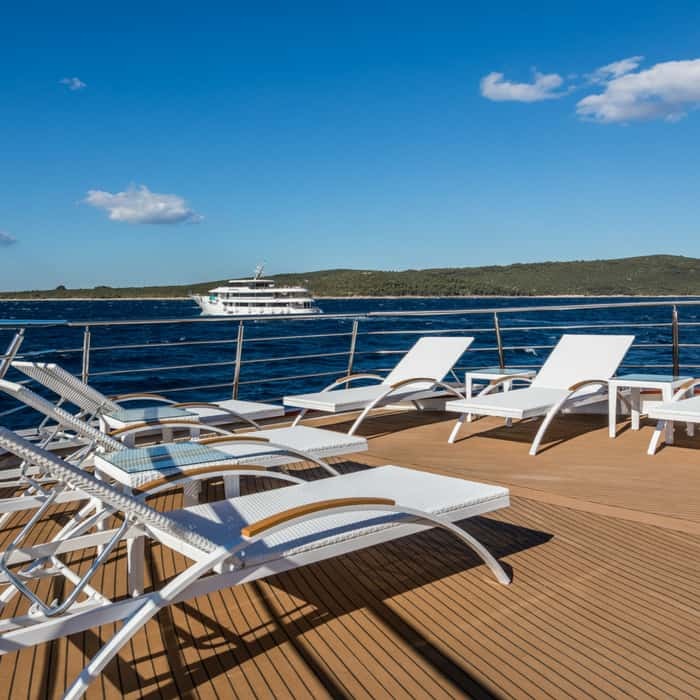 Launched in 2018, the MV Adriatic Sun is a deluxe ship offering lavish facilities and spacious accommodation. The modern vessel measures 47.2m in length and features the latest state-of-the-art equipment and amenities to ensure optimal cruising comfort. With a maximum capacity of 38 passengers on board, guests can relax and enjoy a first-class intimate cruise experience. 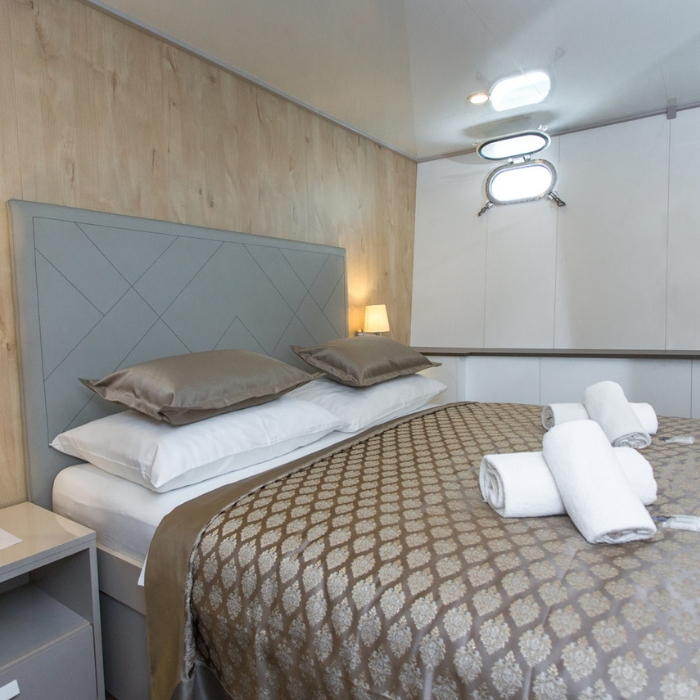 The 19 air-conditioned cabins boast private en suite bathrooms and flexible bedding configurations. Public areas of the ship provide luxuriously comfortable spaces in which to unwind and socialise. 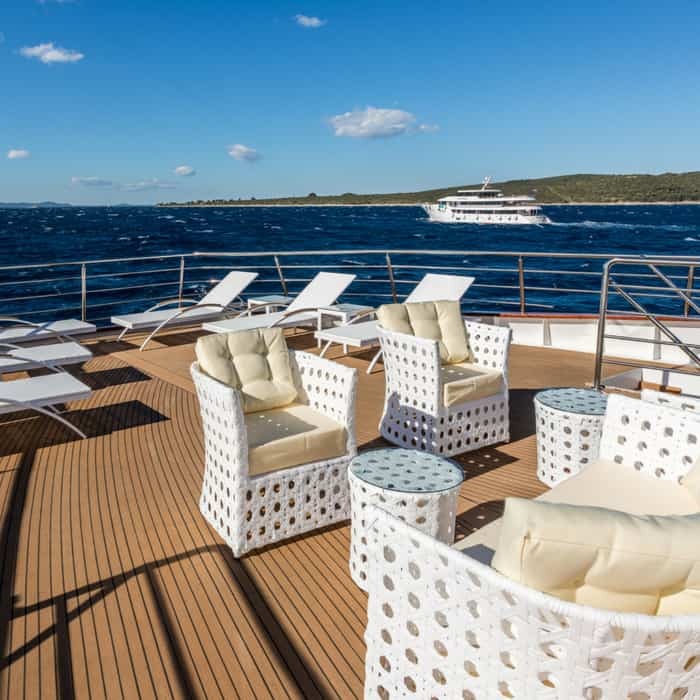 The deluxe MV Adriatic Sun flaunts sleek 47.2m length lines and a cruising speed of nine nautical miles per hour. For comfortable cruising, she is equipped with the latest state-of-the-art features and amenities. 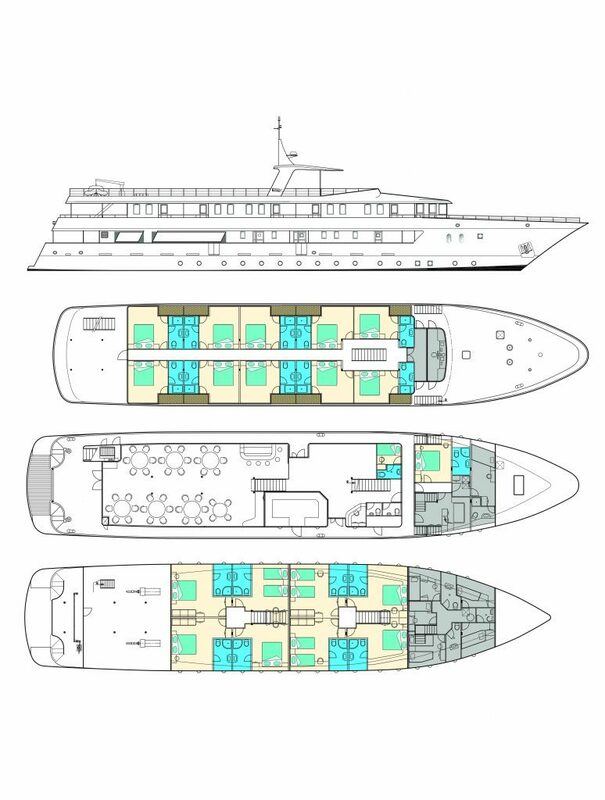 The 19 air-conditioned, en suite cabins provide spacious accommodation for a maximum capacity of 38 passengers. Cabins located on the upper deck feature private balconies. 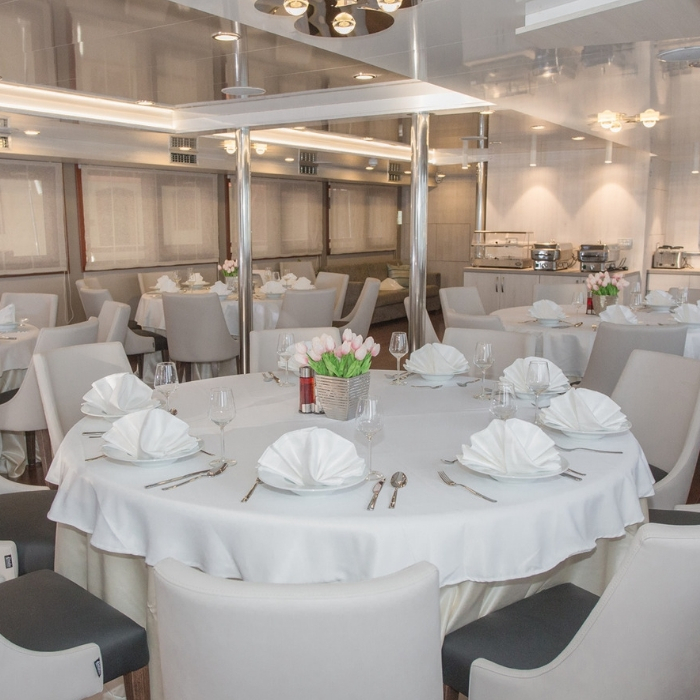 On the ship’s main deck there is a large air-conditioned dining room with bar area, and buffet breakfast table, and a canopied outdoor lounge.